THE GENERAL public will have the chance to see inside a nuclear submarine during two dockyard open days. Devonport naval base will throw open its doors this Sunday from 10am to 5pm and on May 26 during the same hours. Commodore Graeme Little, the commanding officer of the base, has agreed to the base being opened to the public in support of Plymouth’s History Festival. The days are being run by Friend and Volunteers of Devonport Naval Heritage Centre. As well as having a tour of a decommissioned submarine, HMS Courageous, the public can also visit the model ship gallery, take a look at the ships figureheads, visit the police museum, look around Gilroy House (the former home of the senior police officer) and enjoy fascinating talks throughout the day. One of the talks will be given by Peter Holt form the SHIPS (Shipwrecks and History In Plymouth Sound) project. 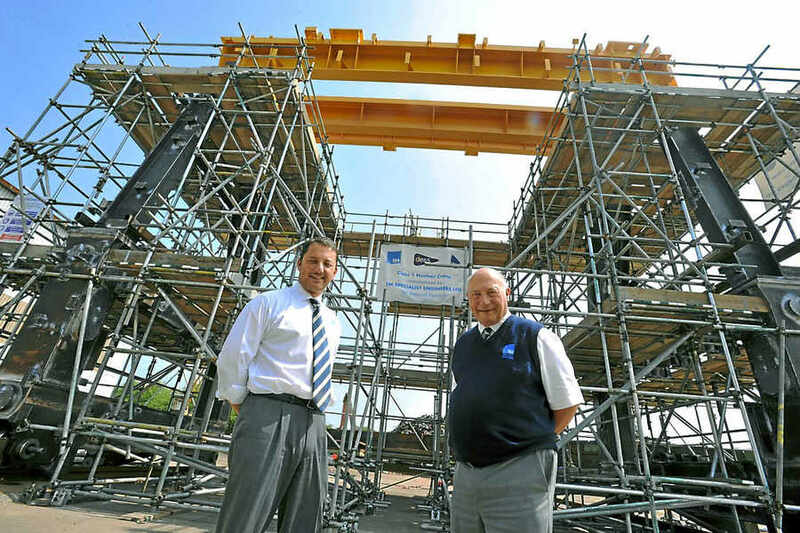 Bob Cook, from the naval museum, said: “Everyone is welcome to come along. HMS Courageous is set out for visitors but you have to be fit enough to go in and out of the tubes, like going down a manhole, so as long as you don’t have a heart condition, vertico, claustrophobia or are heavily pregnant, you’re more than welcome – but wear trousers. A programme of events will be available on both days to boost museum funds. Anyone going should head to the Naval Base Heritage Museum off Granby Way (postcode PL1 4HG). Car parking is available. This entry was posted in UK Submarines and tagged Devonport, HMS Courageous, museum, Open day, Plymouth, Royal Navy, Submarine on May 7, 2014 by jasonlockley. Experts yesterday compared the crisis at the naval base, operated by the Ministry of Defence and government engineering contractors Babcock Marine, with the Fukushima Daiichi power-station meltdown in Japan in 2011. It came just four months after the Defence Secretary, Philip Hammond, announced that the base would “remain vital in the future”. The failure of the electric-power source for coolant to nuclear reactors and then the diesel back-up generators was revealed in a heavily redacted report from the Ministry of Defence’s Site Event Report Committee (Serc). Once a submarine arrives at the Devon base’s specially designed Tidal X-Berths, it must be connected to coolant supplies to prevent its nuclear reactor overheating. But last July a series of what were described as “unidentified defects” triggered the failures which meant that for more than 90 minutes, submarines were left without their main sources of coolant. The IoS has learnt that there had been two previous electrical failures at Devonport, both formally investigated. They were the loss of primary and alternative shore supply to the nuclear hunter/killer attack sub HMS Talent in 2009 and the loss of “AC shore supply” to the now decommissioned nuclear sub HMS Trafalgar in 2011, the Serc report said. Mr Large warned that if a submarine had recently entered the base when the failure occurred the situation could have been “dire” because of high heat levels in its reactor. Babcock launched an internal investigation after the incident; this blamed the complete loss of power on a defect in the central nuclear switchboard. It said the defect had resulted in an “event with potential nuclear implications”. Among a number of “areas of concern” uncovered by the Babcock investigation was what was described as an “inability to learn from previous incidents and to implement the recommendations from previous event reports”. A subsequent review from the Base Nuclear Safety Organisation revealed the “unsuccessful connection of diesel generators” and questioned the “effectiveness of the maintenance methodology and its management”, while advising Babcock to “address the shortfalls in their current maintenance regime”. Operated under extremely tight security and secrecy, the Devonport nuclear repair and refuelling facility was built to maintain the new Vanguard ballistic missile submarines and is also home to the Trafalgar- and Astute-class attack submarines – both powered by nuclear reactors. Babcock, which is Britain’s leading naval-support business and works with the MoD on a number of projects, admits that working with nuclear fuels will always carry a “small risk of a radiation emergency”. Its own “stress test” on Devonport safety, launched after the Fukushima disaster, said that in the event of the failure of both power supplies, heat levels in reactors could be controlled by emergency portable water pumps, and added that such a failure had occurred a “number of times” previously. Ten days ago, the Office for Nuclear Regulation watchdog published details of an improvement notice it had served on Devonport on 16 July for three alleged breaches of health and safety legislation, and of Section 24 of the Nuclear Installations Act – regarding “operating instructions”. Babcock was unavailable for comment last night. But the conclusion of the MoD report said that while recognising organisations and individuals were “increasingly expected to deliver to tighter deadlines with limited resources”, failures would be reported and learned from, to deliver a “safe product”. This entry was posted in UK Submarines and tagged Devonport, Submarine on October 11, 2013 by jasonlockley. A proposal to put the dismantling of redundant nuclear submarines to the test at Rosyth in Fife is the “right decision”, the local MP Thomas Docherty has said. Defence Minister Philip Dunne has announced that redundant nuclear submarine dismantling would be trialled in Rosyth. If the process works, the remainder of the UK’s retired nuclear fleet will be cut up in both Plymouth and Rosyth. But he announced a further consultation on where intermediate-level nuclear waste would be stored, widening the choice to include commercial and other defence sites. The consultation will start next year, and the Rosyth pilot will not go ahead until a storage site has been identified. 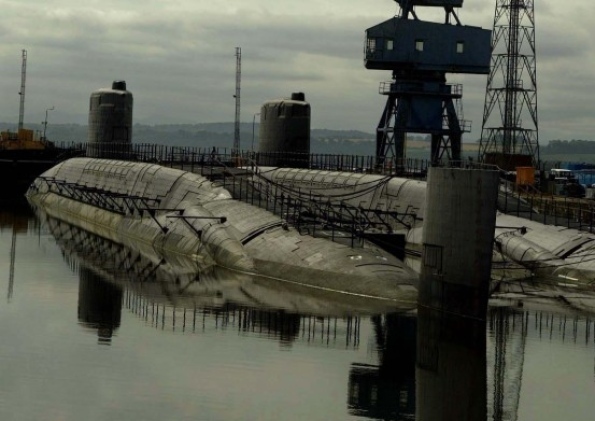 Seven redundant nuclear submarines are thought to have been stored at Rosyth since the 1990s. Eight submarines are berthed at Devonport, with others due to come out of active service in the future. However, SNP Lochgelly and Cardenden Fife councillor Ian Chisholm said he was concerned Rosyth could be left as a nuclear dump for 20 years. He said: “It’s the things that are not in the report’s conclusions I worry about not the things that are in it. “It’s a bit of a fudge in that we are still years away from getting rid of this radiation hazard from Rosyth. “I had hoped the hulks would be towed complete, down to Devonport where they belong and where they were serviced when Rosyth lost out on the work and kobs. It is now the MoD’s decision to dismantle one sub’s radioactive pressure vessel on site at Rosyth. The only plus point is they have decided the pressure vessel should be removed in one piece but the fly in the ointment is where that piece should be stored. “The MoD now say that if the pilot is successful the remaining subs will be dismanted at both Rosyth and Devonport but I take that with a pinch of salt. From previous MoD discussions it seems the pressure vessels are too “hot” to go straight to long term storage and would need to cool for 20 years above ground. This entry was posted in UK Submarines and tagged Devonport, dismantling, Rosyth, Submarine on March 26, 2013 by jasonlockley. THE Ministry of Defence has confirmed that old nuclear submarines will be cut up in Devonport. But fears that Plymouth could become the UK’s nuclear graveyard have been eased. Defence Minister Philip Dunne said yesterday that submarine dismantling would be put to the test in Rosyth in Scotland. If the process works, the remainder of the UK’s retired nuclear fleet will be cut up in both Plymouth and Rosyth. Fears were raised at the start of the initial consultation that intermediate-level nuclear waste could be stored in Plymouth for many years waiting for a disposal site to be chosen. There are thought to be about seven redundant nuclear submarines now stored in Devonport. Their nuclear reactors have been removed. Mr Colvile said the dismantling project reinforced the case to keep Devonport as one of the UK’s strategic naval bases. “To maintain the skills base in between dismantling, the Royal Navy has to make sure surface ship refitting happens here. Alison Seabeck, Labour MP for Plymouth Moor View, said the news made it less likely that the city would be seen as the country’s nuclear graveyard. “The fact that they are widening the scope for an intermediate-level waste site suggests that they are not looking at Plymouth. But they are pushing the project into the long grass to save money. The time scale is very long. But she said the dismantling process was “really quite tidy and clean”. A Plymouth City Council spokesman said: “We anticipated that Devonport would be one of the locations for the dismantling of decommissioned submarines given its highly skilled and experienced workforce. “The council’s response to the consultation was clear that Devonport is not a suitable location for the storage of intermediate level waste and this remains our position. “The MoD’s statement says no radioactive waste will be removed from the submarines until a storage solution is agreed and we will want to ensure this remains the case. 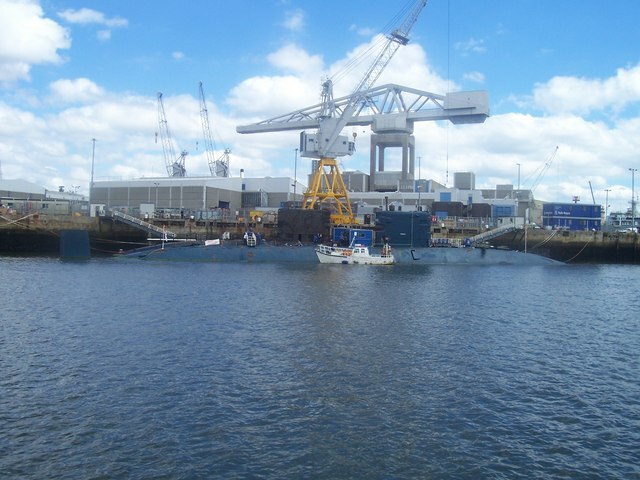 This entry was posted in UK Submarines and tagged Decommissioning, Devonport, dismantling, Rosyth on March 24, 2013 by jasonlockley.